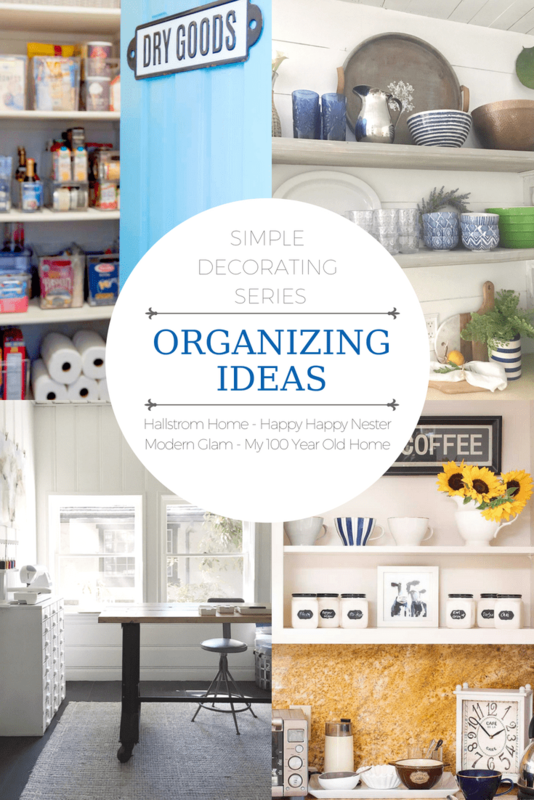 I am thrilled to be a part of a blog series today that shares Organizing Ideas. 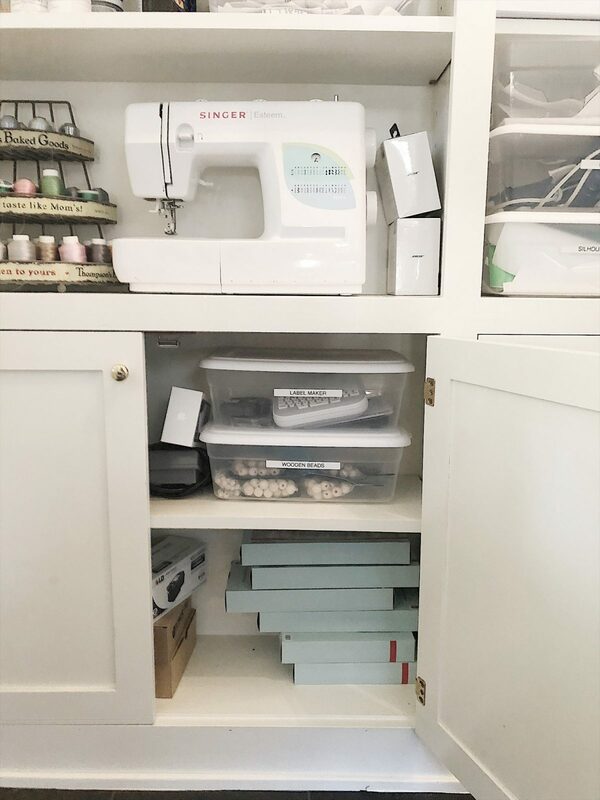 Today I am sharing how I organized my Craft Room. I have partnered with three other bloggers, Ashley from Modern Glam, Rhonda from Hallstrom Home and Janine from Happy Happy Nester. Be sure to visit their blogs and see their fabulous organizing tips. Last fall I completely changed my office into a craft room. I love the new room because it is light and airy and has all of my craft project stuff at my fingertips. 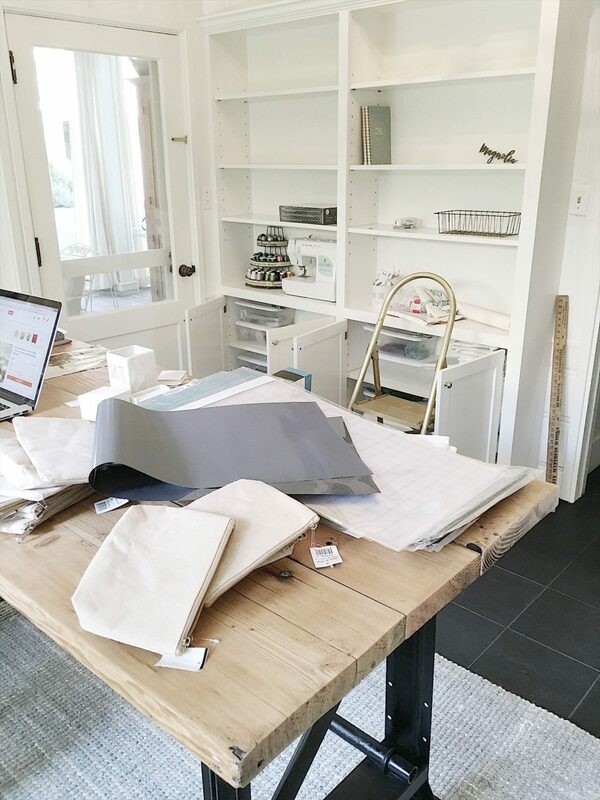 The thing about a craft room is that you can’t expect it to always look perfect. Creativity doesn’t work that way. So give yourself a little room to spread out and enjoy your DIY’s and projects! This is an earlier photo of my craft room. But check out what the room used to look like when it was my office! All I did was paint the walls and change out the carpet. Check out my blog post here about the remodel. Then I replaced my desk with a craft table (you can see that DIY here). Can you believe it? I have a wonderful Brother embroidery machine. I use it all of the time and I love it! I bought this old metal cabinet and cleaned it up and spray painted it. 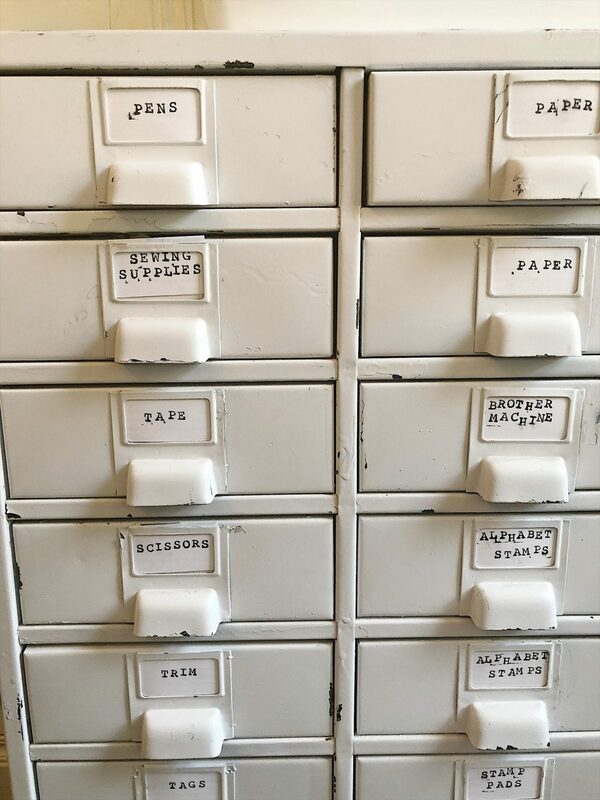 Then I labeled all of the drawers so I could easily find my craft supplies. Having organization like this is a must. It makes it so much easier to complete a craft when I can find everything I need at my fingertips. 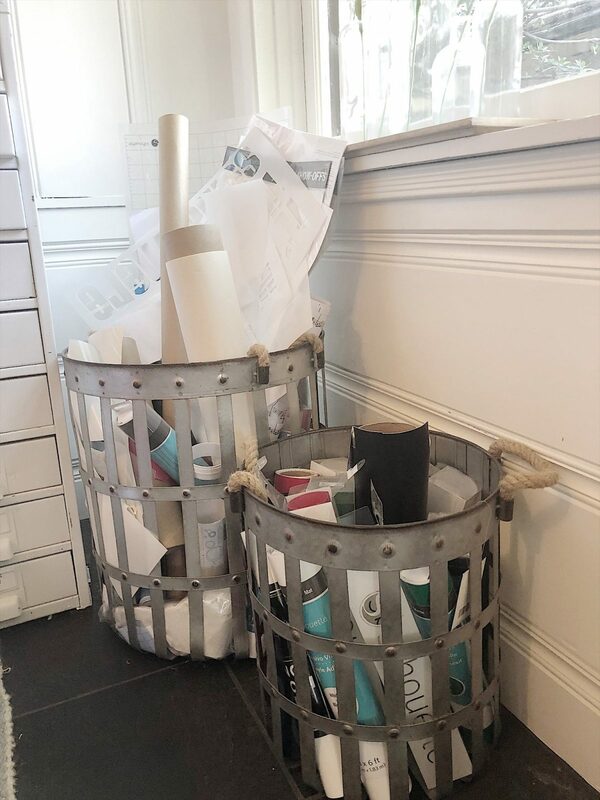 I also use metal bins (from Hobby Lobby) to organize my materials for my Silhouette machine. I love these so much. 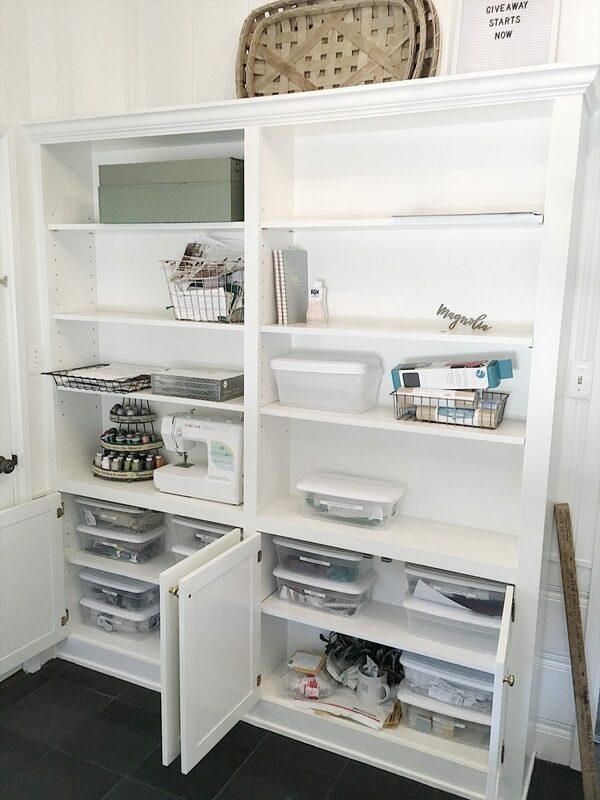 I painted the built-in cabinet in my craft room white and love how it stores so many of my supplies. 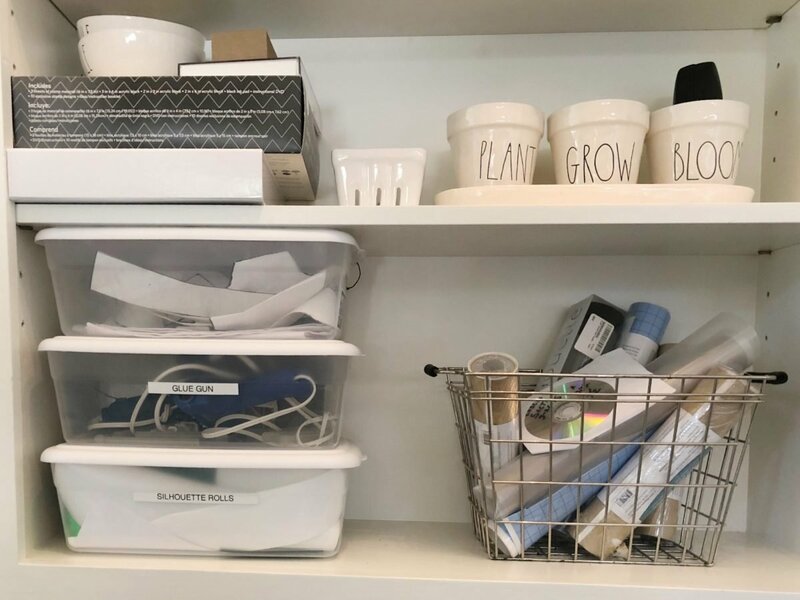 I filled a lot of bins with craft materials and labeled them and added them to the cabinet. As you can see, I even have a bin for receipts. I also have a bin for wooden beads, my label maker and supplies, glue gun and more! My craft room is always changing and at times it ends up full with new packages and projects. But keeping it organized is important and I have to organize it almost every week! I hope you enjoyed my blog post and don’t forget to hop on over to my friends to see the wonderful organization projects they are sharing. It may just be me, but I think the repainting of the walls made your room very modern, despite the vintage pieces here and there. It’s really nice! 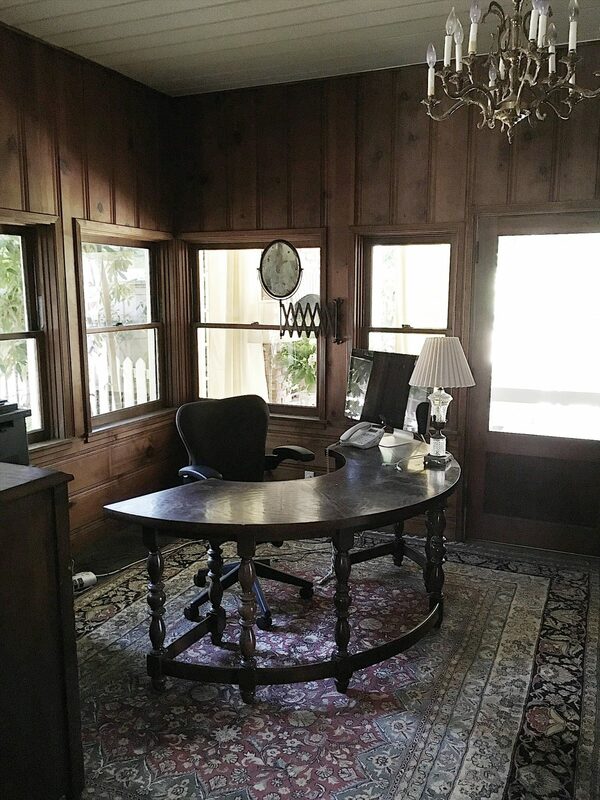 Can you share where you found your desk/table! I love it! 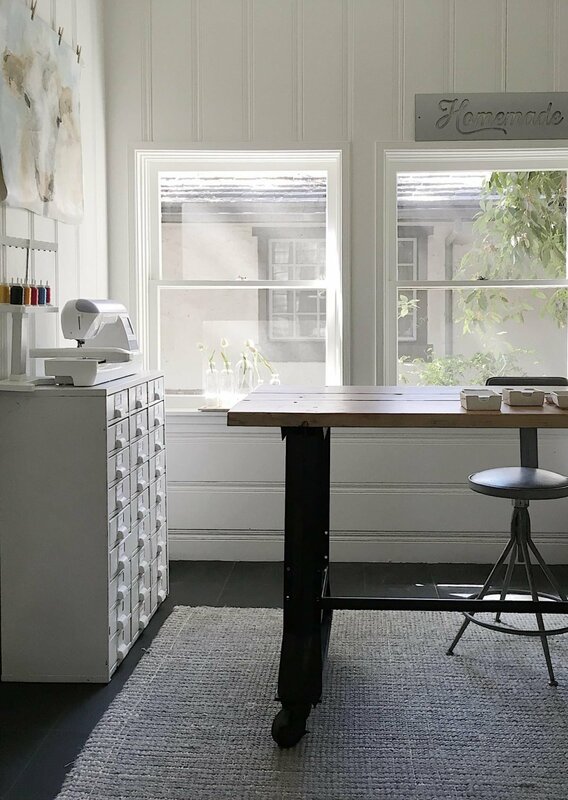 This is inspiring, a perfect craft room! Do you have your fabric stored elsewhere? What a fabulous post! 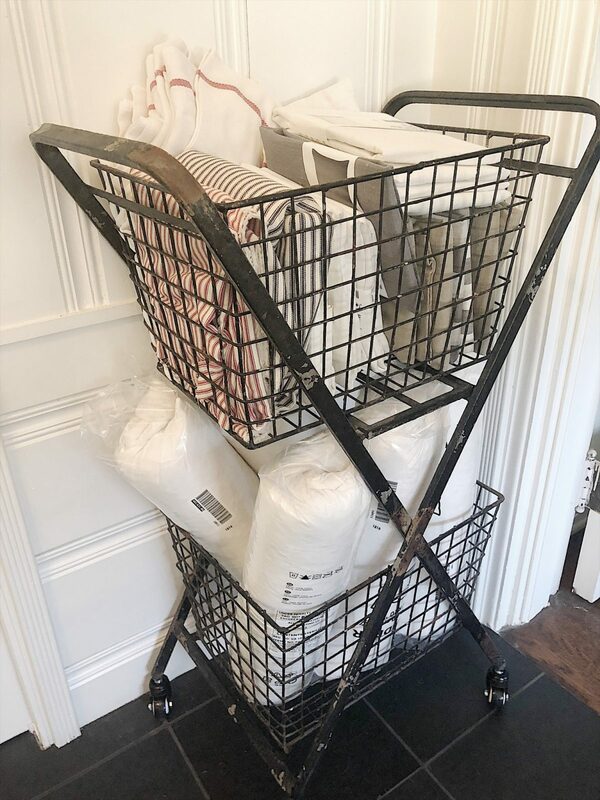 I love all your containers, and I especially love your vintage crib mattress organizer! Such a cute but effective system! Thanks so much for join us! Wow that room is stunning! 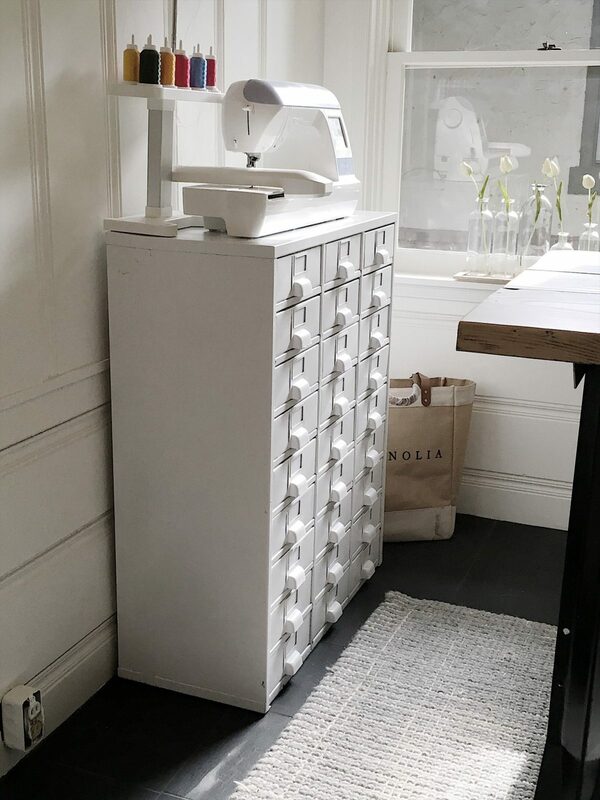 I love your metal chippy cabinet, perfect for organizing! Such a fun space! 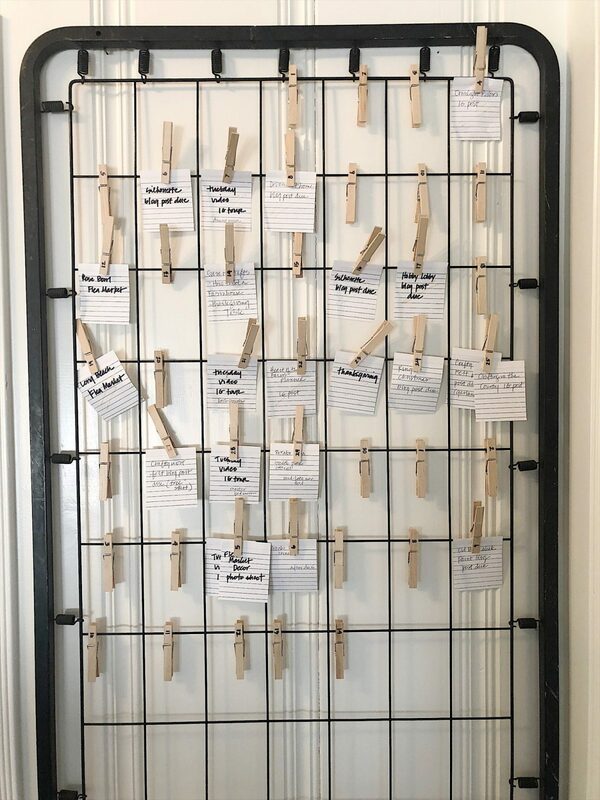 You sure are lucky to have a room for creating fun projects! 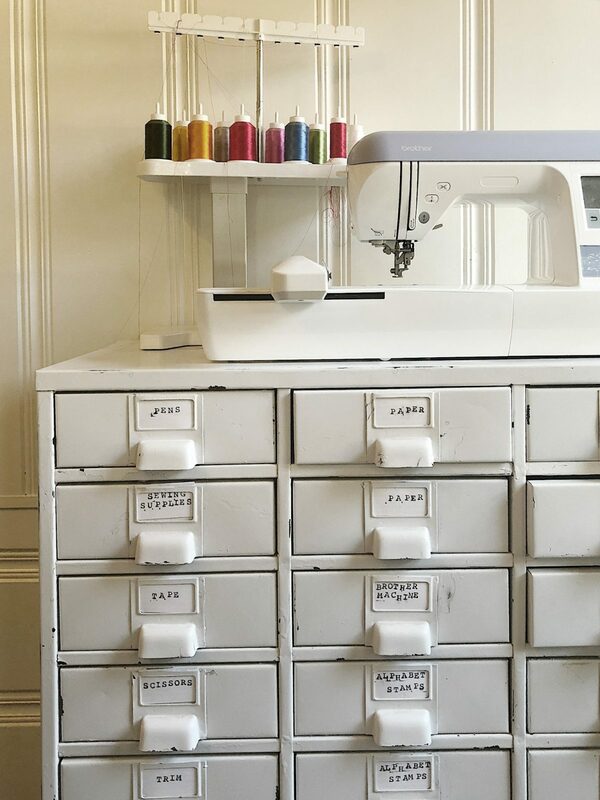 This is THE best craft room ever. The before picture and the after is crazy good. Oh the wonders of paint. 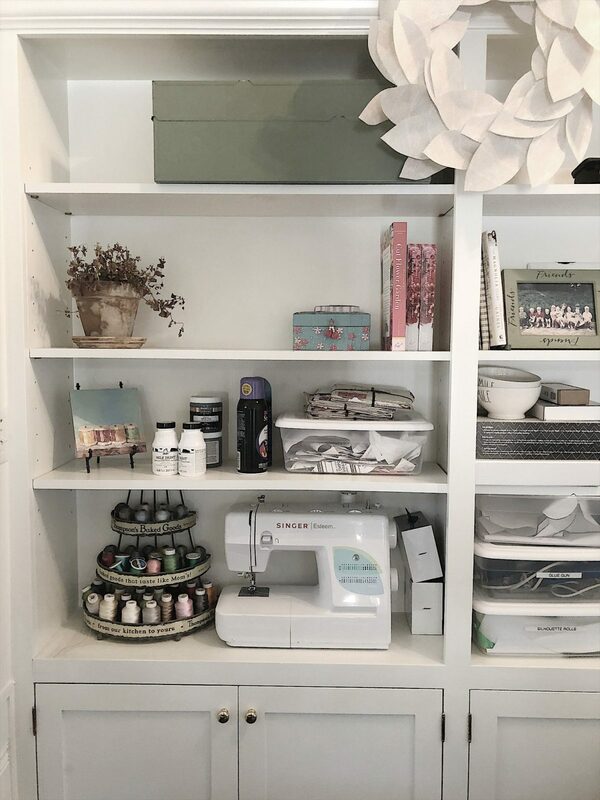 Leslie, I LOVE your craft room! As my children move away, this may be a good use of one of their rooms. The before and after photo are amazing. Thanks for sharing-great post!